← The feral cat issue… I managed to trap it now what? 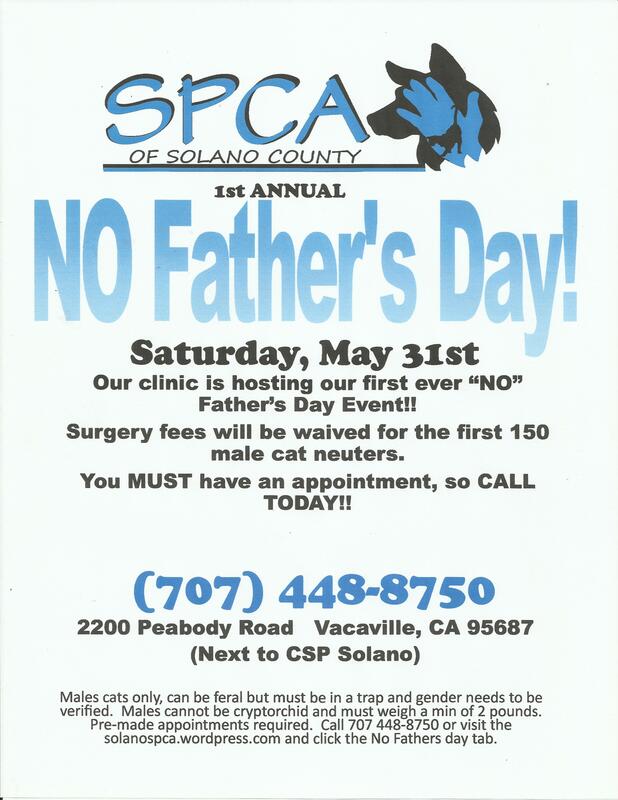 This entry was posted in feral cats, Rescue, spay & neuter, Uncategorized and tagged adoption guarantee, animal shelter, appointment, cat, community, Father's Day, feral cat, free cat neuters, low cost, shelter, spay & neuter, tnr, Vacaville, veterinarian. Bookmark the permalink.